Richard Thaler was awarded the 9 million Swedish crown ($1.1 million) prize, the Royal Swedish Academy of Sciences. Stockholm: US academic Richard Thaler, who helped popularise the idea of "nudging" people towards doing what was best for them, won the 2017 Nobel Economics Prize on Monday for his work on how human nature affects supposedly rational markets. Influential in the field of behavioural economics, his research showed how traits such as lack of self-control and fear of losing what you already have prompt decisions that may not have the best outcome in the longer term. "I think the most important impact (of my research) is the recognition that economic agents are human and economic models have to incorporate that," Thaler, a professor at The University of Chicago Booth School of Business, said in call broadcast at the Nobel news conference. 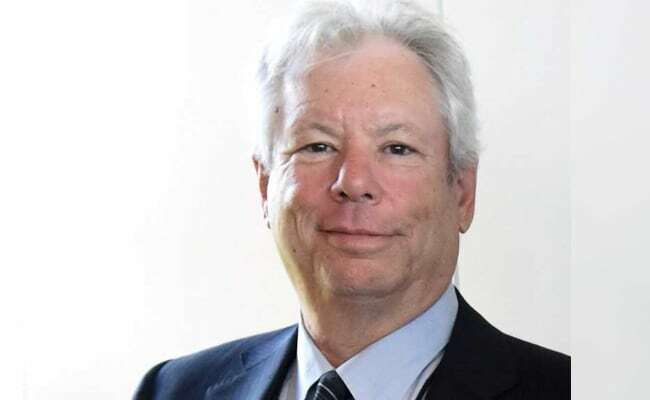 Awarding the 9 million Swedish crown ($1.1 million) prize, the Royal Swedish Academy of Sciences said: "Richard Thaler's contributions have built a bridge between the economic and psychological analyses of individual decision-making." "His empirical findings and theoretical insights have been instrumental in creating the new and rapidly expanding field of behavioural economics, which has had a profound impact on many areas of economic research and policy." Thaler brought to prominence the idea of "nudge" economics, where individuals are subtly guided toward beneficial behaviours without heavy-handed compulsion, the theme of a 2008 book he co-wrote which caught the eye of policymakers around the world. In researching how self-control - or the lack of it - Thaler touched on an age-old problem: why New Year's resolutions to change aspects of your life are notoriously hard to keep. The issue has relevance for economics as individuals' tendency to fall prey to temptations often negatively affects plans to, for instance, save for retirement. Together with Professor Cass Sunstein, he argued that society - while maintaining freedom of choice - should actively try to guide individuals in the right direction. Their book, titled 'Nudge: Improving Decisions about Health, Wealth, and Happiness' became popular with some western politicians seeking ways to encourage their citizens to save and live healthily, without incurring voters' wrath for raising taxes or banning behaviour outright. "This has also been used in public pension systems in the United States and the general idea of 'nudging' ... has made a breakthrough in public policy making," Torsten Persson, economics prize committee member, told Reuters. "Not only in the United States - there's also a nudging unit for the UK government, there's one for the Australian government, it even affects the Swedish government when they think about these things." The economics prize, officially called the Sveriges Riksbank Prize in Economic Sciences in Memory of Alfred Nobel, was established in 1968. It was not part of the original group of awards set out in dynamite tycoon Nobel's 1895 will. Economy is the last of this year's Nobels. The prizes for physiology or medicine, physics, chemistry, literature and peace were all awarded last week. The United States has dominated the economics prize, with American economists accounting for roughly half of laureates since the inception of the award. Indeed, between 2000 and 2013, U.S. academics won or shared the prize every year. While Americans have dominated the Nobel science and economics prizes, another category of researchers - women - have been few and far between. Indeed only one women - Elinor Ostrom in 2009 - has won the economics prize to date, and not a single women won any Nobel award in 2017. Asked about the disparity, the Academy's secretary general Goran Hansson said they were concerned about the issue and planned a conference with all nominators to discuss it. "Consider this a request for all nominators to also consider female scientists who have made contributions," he said. While few economists are household names, past winners have included Milton Friedman, in 1976, whose work is a cornerstone of current monetary policy, and James Tobin, in 1981, who proposed countries should tax financial transactions.